The San Diego Comic Con starts Thursday, July 19th. If you haven’t been able to get in, you’re not alone. 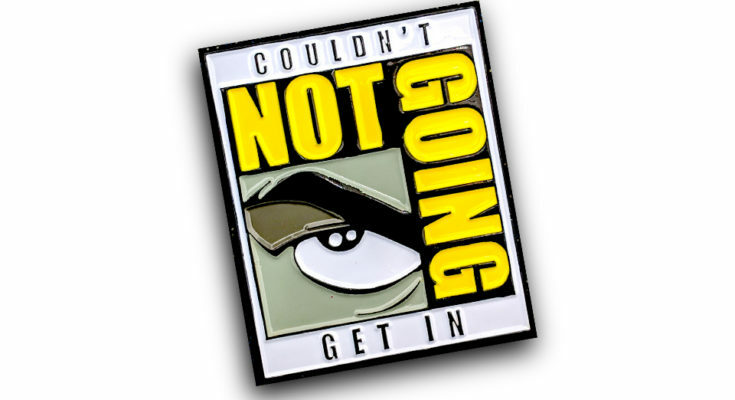 The Unofficial Comic Con Blog estimates that most people only have a 6% chance of getting in during their general registration window. Many enter, few avoid frustration. However, it can be doubly frustrating for residents of Chula Vista, La Mesa or Pacific Beach, to find they are essentially locked out of downtown that week. Fear not. If you live near downtown, you can still get in on the fun. 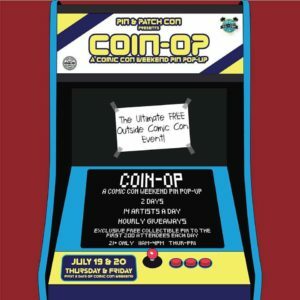 The Pin and Patch Con will be hosting a special Comic Con event at Coin-Op on 6th Avenue. The arcade bar has previously been the scene of another their wildly popular pin events. However, following the Pin and Patch Con’s blowout success at SDSU’s Montezuma Hall last June, this event is expected to be even bigger. 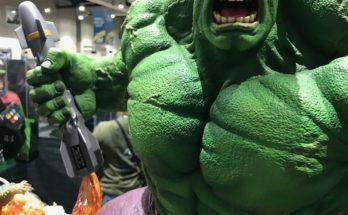 Featuring some of the biggest players in the pop-culture pin game, anyone who enjoys Comic Con is going to find something they’ll enjoy. Spanning both Thursday and Friday, the event will feature fourteen of the freshest pin-makers each day. These will include some of the coolest brands out there. Each day will feature different makers so you’re encouraged to go both days to get the best experience. But don’t worry. Unlike most everything else during Comic Con, this event is free. Fans of Stars Wars will find a wealth of things to excite them. The mega-trendy BBCRE-8 and Punch It Chewie Press will be showcasing some of the most brilliant and exciting Star Wars mash-ups on the market. Their designs combine sci-fi nostalgia with a light-hearted approach that makes their work always engaging and fun to show off. Others will enjoy the more independent and innovative approach of designers like Dare to Dream Flair. These designs fit anyone looking for a colorful, purist yet playful approach to their jacket accessories. In lovely pastel hues, hearts and gummy bears find new life and relevance. Of course, anyone looking to combine both the familiar and pop-culture are sure to fall in love with He + She Pins. Largely known for its various Batman designs, the makers also specialize in femme-forward original designs that appeal to the beauty of the imagination. These are pins known both for their humor as well as for making a statement. In fact, He + She Pins is offering an exclusive to those who attend the Pin and Patch Con on its opening day. 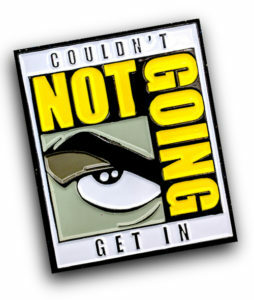 The “Not Going – Couldn’t Get In” design that captures all the frustration and resentment that comes with the struggle of actually getting into one of the biggest pop-culture events in the world. 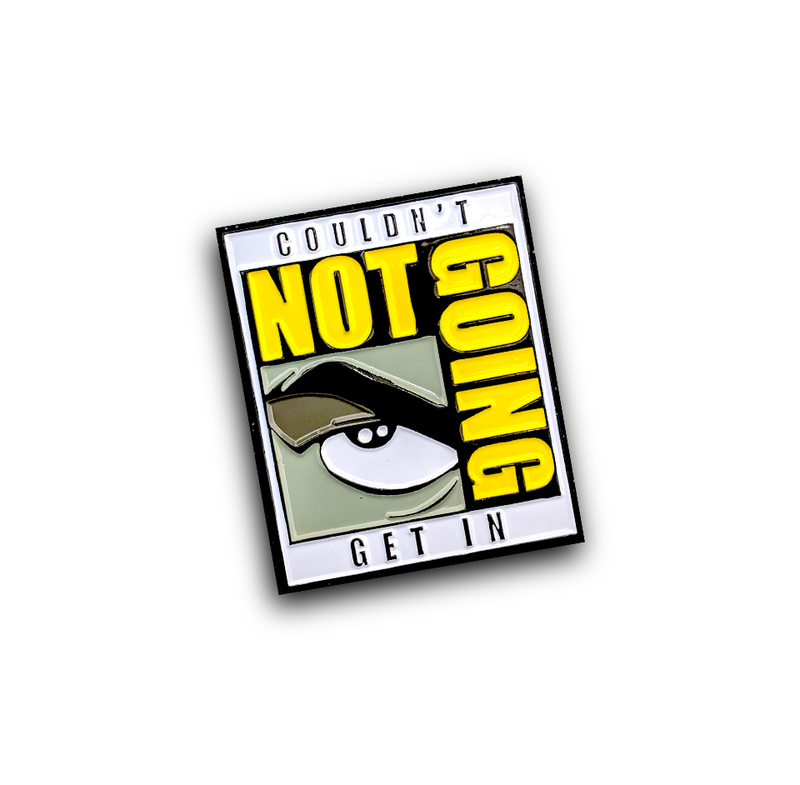 The pin works well as everyone struggles to get into Comic Con. The “Not Going” design is limited to only fifty pieces. However, the first two hundred people to attend the event each day will get an exclusive pin absolutely free. Free pin and free admission? Anyone who can make it downtown (whether you’re attending Comic Con or not) should find time to swing by. The Pin and Patch Con event takes place Coin-Op on 6th Ave. Be there Thursday and Friday, the 19th between 11am and 4pm. 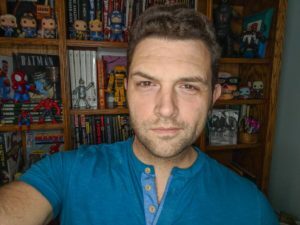 Patrick Healy writes for Graphic Policy and the The Comic Jam. He is the creator of He + She Pins. You follow him on Twitter by clicking here.